(Francisco Kjolseth | The Salt Lake Tribune) Utah's best beer names include RSAle, Polygamy Porter and Elder Brett Saison. Serious drinkers choose a beer based on taste. The rest of us are enticed by an awesome name — especially one tied to Utah culture, scenic landscapes or odd liquor laws. Utah brewers also know that a marvelous moniker can be marketing gold. (Francisco Kjolseth | The Salt Lake Tribune) Utah's best beer names. Then there was St. Provo Girl Pilsner, a take on the famous St. Pauli Girl brand — complete with a buxom blonde on the label. The name was too close to the original, though, and Squatters was forced to call the brew Provo Girl Pilsner to avoid a lawsuit. Through the years, there have been dozens of other clever names, many with double meanings. Many names honor Utah’s most scenic places or its most notable quirks. 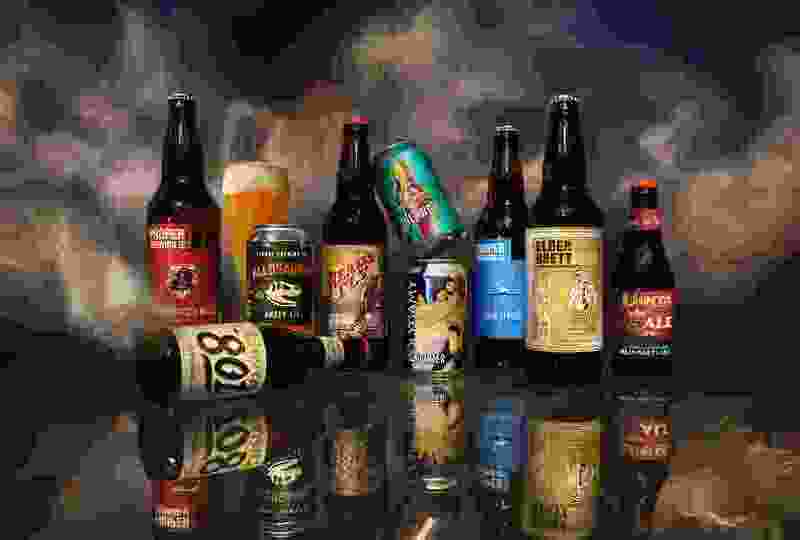 The Utah Department of Alcoholic Beverage Control keeps things from getting derogatory or offensive as all beer names — and labels — sold in Utah first must get the state agency’s approval. (Francisco Kjolseth | The Salt Lake Tribune) Utah's best beer names. Uinta 801 pilsner by Uinta Brewing. 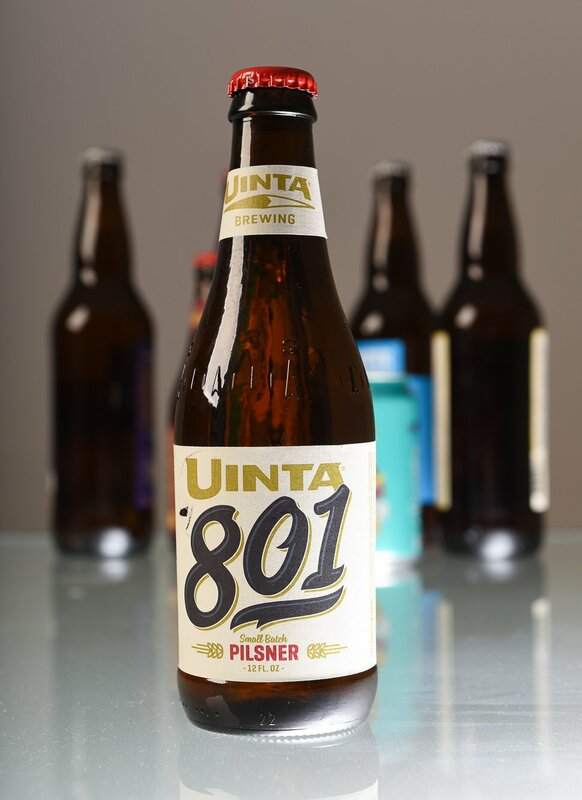 801 Pilsner • (Uinta Brewing Co.) This light-bodied brew dials up one of Utah’s most notable numbers — the 801 area code. 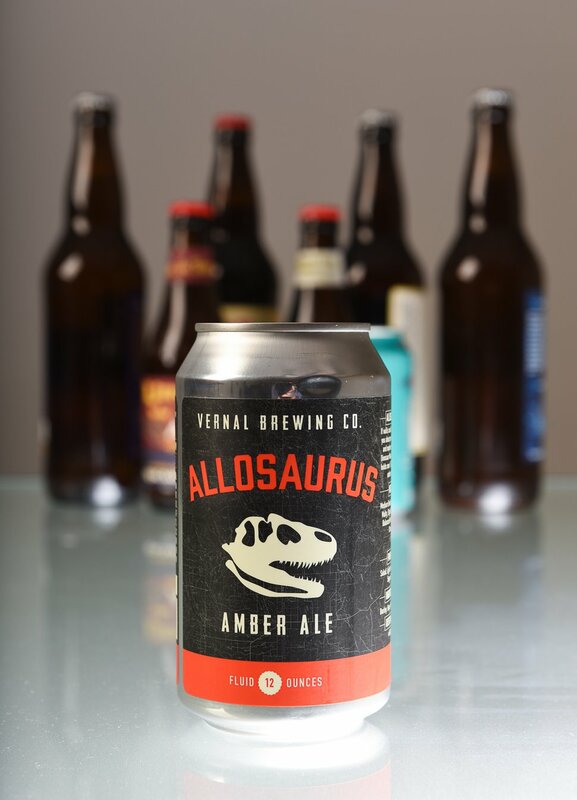 Allosaurus Amber Ale • (Vernal Brewing Co.) Utah’s official state fossil gets its own beer, produced near the dinosaur quarry where more than 50 Allosauraus specimens have been found. (Francisco Kjolseth | The Salt Lake Tribune) Utah's best beer names. Allosaurus amber ale by Vernal Brewing Co.
Antelope Amber Ale • (Bonneville Brewing Co.) Not far from this Tooele brewery, the largest publicly owned bison herd roams freely on Antelope Island in the Great Salt Lake. 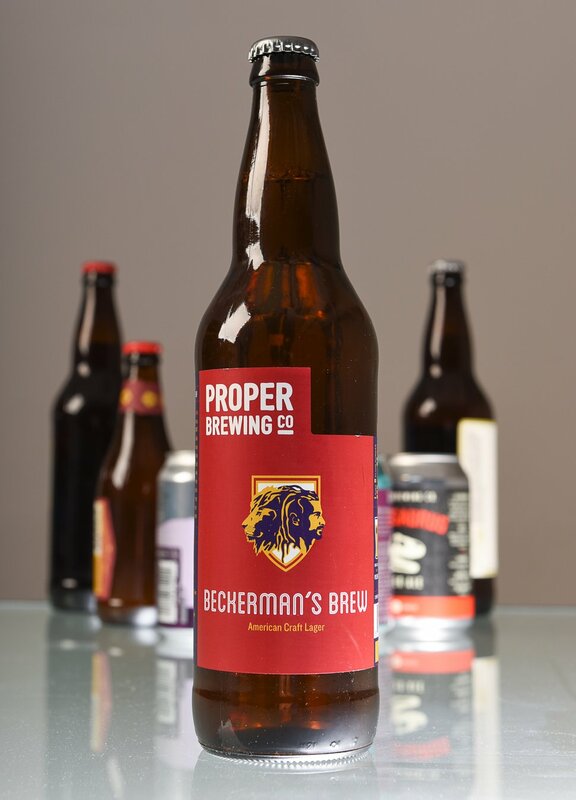 Beckerman’s Brew • (Proper Brewing Co.) The dominant dreadlocks are gone, but Real Salt Lake captain and World Cup veteran Kyle Beckerman is still an inspiration for Utah soccer fans — and this game-day lager. (Francisco Kjolseth | The Salt Lake Tribune) Utah's best beer names. Beckerman's Brew by Proper Brewing Co.
Blue Law Porter • (Epic Brewing Co.) Made with blackberry puree and spruce tips, it’s a nod to the first state tree (it was changed to Quaking Aspen in 2014) and Utah’s conservative liquor laws. Dead Horse Amber Ale • (Moab Brewery) Oh the irony. This refreshing beer is named for the scenic overlook near Canyonlands National Park where — legend has it — a herd of wild mustangs died of thirst with a view of the Colorado River below. (Francisco Kjolseth | The Salt Lake Tribune) Utah's best beer names. 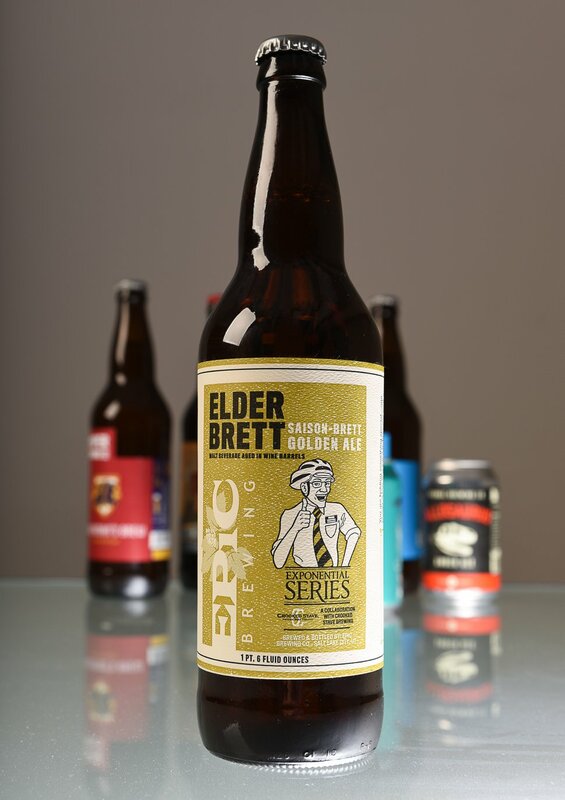 Elder Brett, saison-brett golden ale by Epic brewery. Elder Brett Saison • (Epic Brewing Co.) This barrel-aged beer, with a helmet-wearing missionary on the label, pokes fun at the proselytizing young men and women of The Church of Jesus Christ of Latter-day Saints, while also paying homage to Brettanomyces — or Brett — the wild yeast used to make the beer. Faultline IPA • (Proper Brewing Co.) When the big one hits northern Utah — home to the 240-mile Wasatch Fault — at least we’ll have this hoppy red ale for comfort. HipaCrit Sessions IPA • (2 Row Brewing) State law forced this brewer to make an IPA that was only 4 percent alcohol by volume. No wonder the label pokes fun at the Utah Legislature. The majority of its members abstain from alcohol for religious reasons, yet it still regularly tinkers with liquor laws. Lake Effect Gose • (Proper Brewing Co.) The Great Salt Lake has a powerful effect on Utah storms, weather patterns and birds. Take, for example, Randall Pink Floyd, the rogue flamingo that lived on the lake and graces the label of this German-style beer. (Francisco Kjolseth | The Salt Lake Tribune) Utah's best beer names. 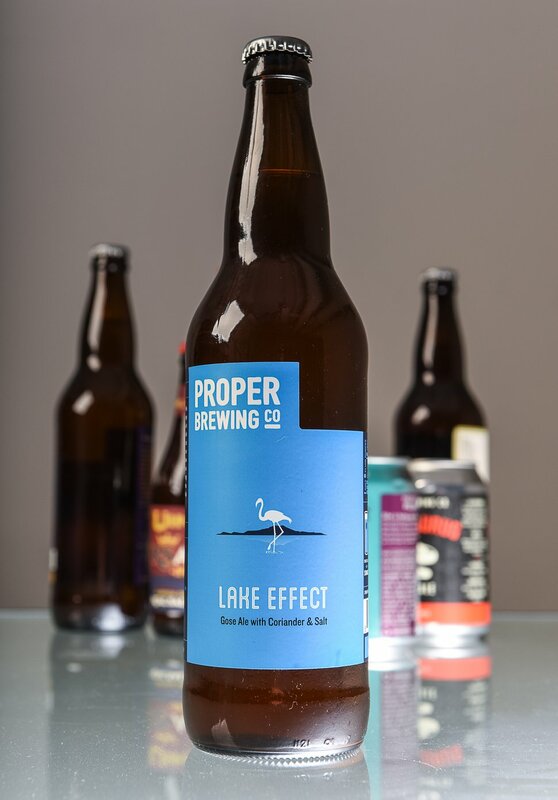 Lake Effect gose ale by Proper Brewing Co. Outer Darkness Russian Imperial Stout • (Squatters) Those who choose this rich, roasted barley stout — which registers a sinful 10.5 percent alcohol by volume — will no doubt be cast into “outer darkness,” another term for Mormon Hell. 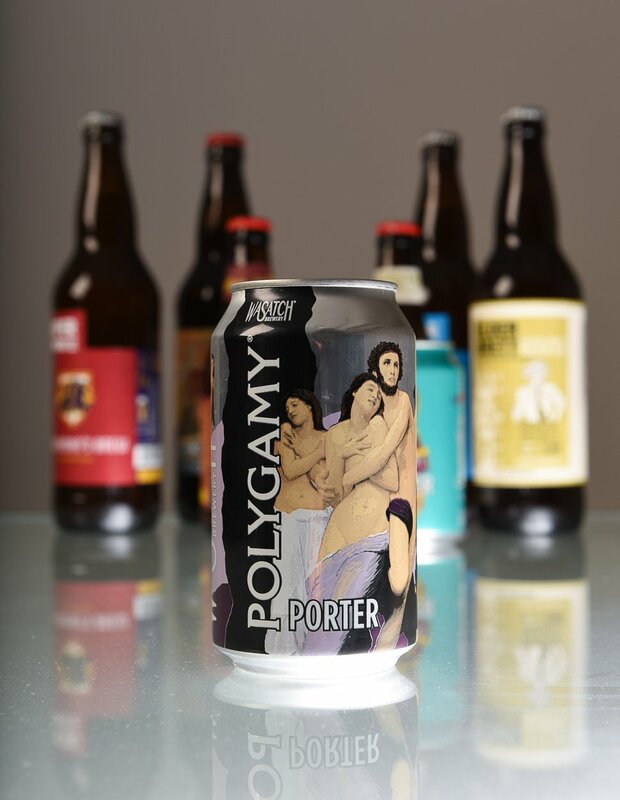 Polygamy Porter • (Wasatch Brewing Co.) Why have just one of these dark beers, especially when you can poke fun at a time in Utah history when having several wives was legal? (Francisco Kjolseth | The Salt Lake Tribune) Utah's best beer names. Polygamy Porter from Wasatch Brewery. Promontory Pale Ale • (Talisoman Brewing). This Ogden-made beer has a golden hue, just like the famous spike that, in 1869, connected the transcontinental railroads at Promontory Point in Northern Utah. Provo Girl Pilsner • (Squatters) The young woman on the label, once a buxom German blonde, has hung up her lederhosen. Now she is a modern — and modest — female student carrying textbooks. She looks crisp and wholesome, just like this classic Utah beer. (Francisco Kjolseth | The Salt Lake Tribune) Utah's best beer names. Provo Girl pilsner by Squatters Craft Beers. 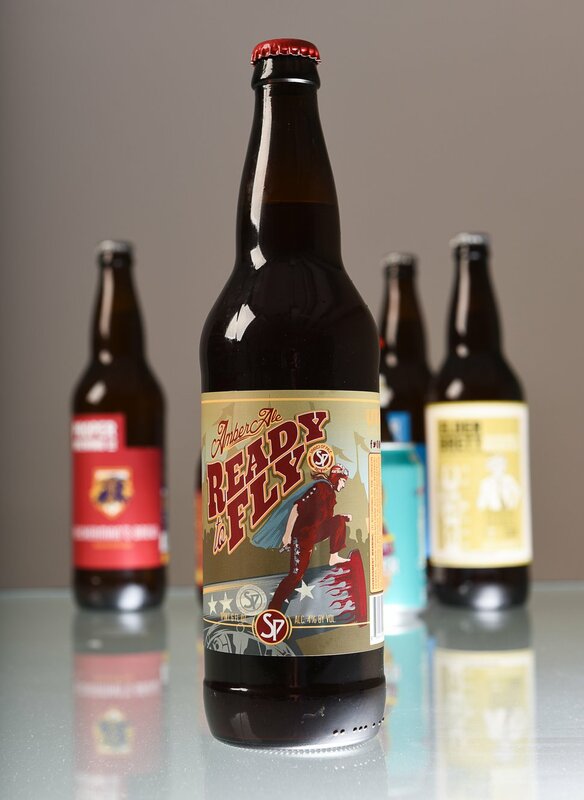 Ready to Fly Amber Ale • (Shades of Pale) Named after the movie “Ready to Fly,” about the U.S. women’s ski jumping team and its successful fight to compete in the Winter Olympics. (Francisco Kjolseth | The Salt Lake Tribune) Utah's best beer names. Amber Ale Ready to Fly by Shades of Pale Brewing. RSAle • (Uinta Brewing Co.) Real Salt Lake gets its own American IPA with a mix of tropical fruit flavors and an extra kick of fresh pine. Spiral Jetty IPA • (Epic Brewing Co.) Made with five types of hops, this bold beer is named for the American sculptor Robert Smithson’s iconic piece of art that juts into the Great Salt Lake. (Francisco Kjolseth | The Salt Lake Tribune) Utah's best beer names. 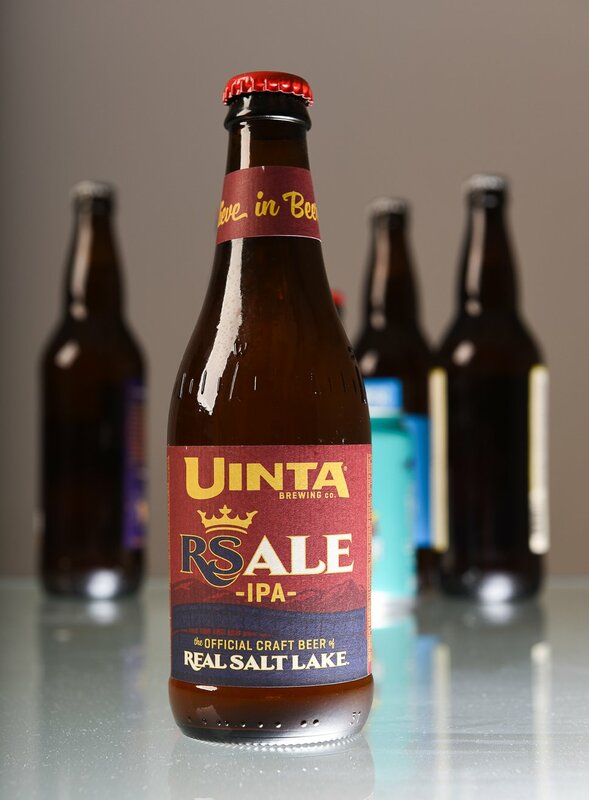 RSAle IPA by Uinta Brewing. Correction: This story has been updated to show Squatters as the correct producer of Provo Girl Pilsner.